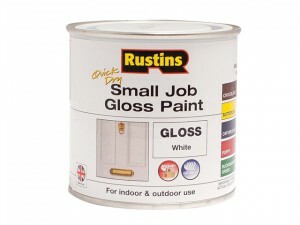 The Rustins Quick Dry Small Job Paint has the following specification: Finish: Gloss.Colour: White.Size: 250ml. This Rustins ASAP Paint has the following specification: Colour: Red.Size: 250ml. 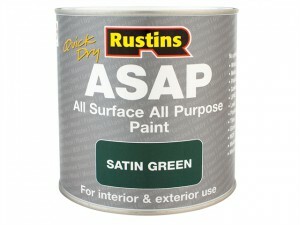 This Rustins ASAP Paint has the following specification: Colour: Green.Size: 250ml. This Rustins ASAP Paint has the following specification: Colour: Cream.Size: 500ml. This Rustins ASAP Paint has the following specification: Colour: Cream.Size: 250ml. This Rustins ASAP Paint has the following specification: Colour: Blue.Size: 500ml. This Rustins ASAP Paint has the following specification: Colour: Blue.Size: 250ml. This Rustins ASAP Paint has the following specification: Colour: Black.Size: 500ml. This Rustins ASAP Paint has the following specification: Colour: Black.Size: 250ml. This Rustins ASAP Paint has the following specification: Colour: Black.Size: 1 Litre. Polyvine Exterior & Interior Metallic Paint Colour: Silver.Size: 500ml. 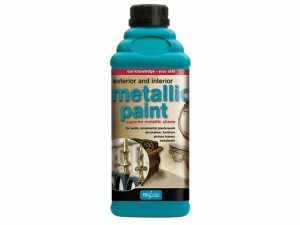 Polyvine Exterior & Interior Metallic Paint Colour: Silver.Size: 1 Litre. Polyvine Exterior & Interior Metallic Paint Colour: Pewter.Size: 500ml. 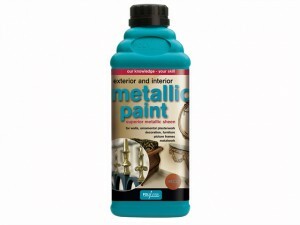 Polyvine Exterior & Interior Metallic Paint Colour: Pewter.Size: 1 Litre. Polyvine Exterior & Interior Metallic Paint Colour: Pale Gold.Size: 500ml. Polyvine Exterior & Interior Metallic Paint Colour: Pale Gold.Size: 1 Litre. Polyvine Exterior & Interior Metallic Paint Colour: Copper.Size: 500ml.